Pep Guardiola is to sign a one-year extension to his Manchester City contract worth £20million, according to reports. The deal would make Guardiola the world’s best paid manager, and would keep him at City until 2020. 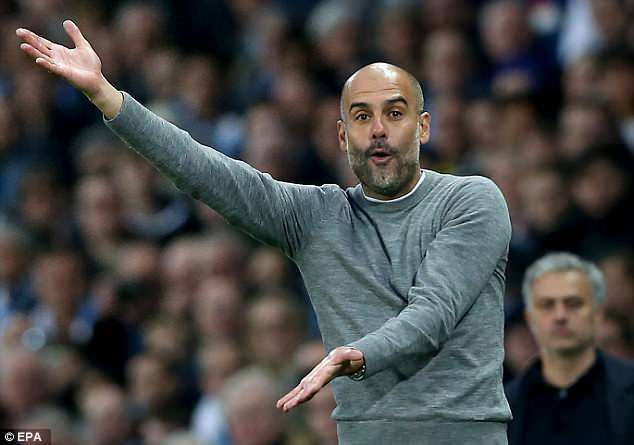 Guardiola’s current contract expires next summer but he said to be keen to stay and build on this impressive season, with City close to winning the Premier League. According to the Mirror, Guardiola met City owner Sheikh Mansour and chairman Khaldoon Al Mubarak in Abu Dhabi last month. City were in the Middle East for four days of warm weather training, and it was there where he reportedly agreed to extend his stay. Guardiola took charge of City in the summer of 2016 and has taken them to the top of the table, potentially one win from the title. They could have won the Premier League on Saturday had they beaten local rivals and closest challengers Manchester United, but were beaten 3-2 at home despite having led 2-0 at half time. Guardiola this season won his first trophy as City boss – the Carabao Cup – defeating Arsenal 3-0 in the Wembley final. They have also reached the Champions League quarter finals, but face a tough task to progress further after losing 3-0 to Liverpool at Anfield in the first leg.